LONDON -- Nissan is the only automaker to be sent a letter about the UK's policies toward the auto industry after the country quits the European Union, Britain's Industry Minister Nick Hurd said. Ministers and officials have spent "quite a bit of time" talking to other automakers about the country's Brexit plans, listening to their concerns and providing reassurances, Hurd said on Friday in an interview in London. "Inevitably they have the same issues and concerns about Brexit," Hurd said. Asked if a similar letter had been sent to any other automaker, he replied "no." There is no special deal with Nissan. "In terms of Brexit, it's the same message for everyone," he said. Business Secretary Greg Clarsaid in October that he made four key pledges in a letter to Nissan, including that Britain would seek to maintain tariff-free access to the EU during divorce talks that the government aims to start by the end of March. 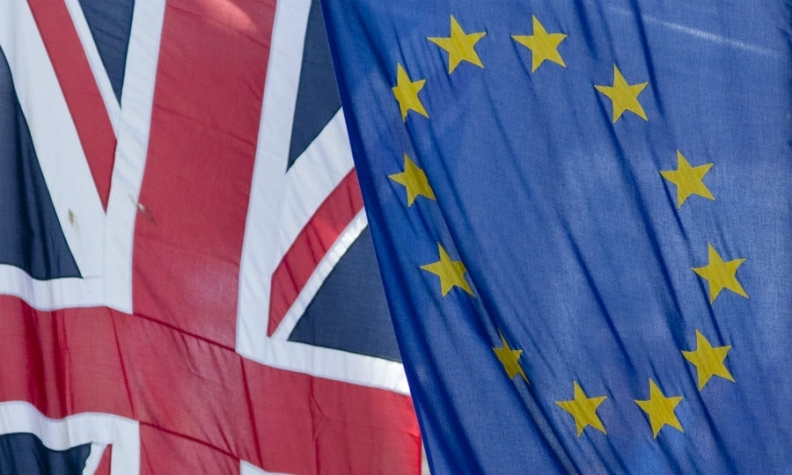 Manufacturers have expressed concerns that Brexit may lead to costly barriers to the cross-border passage of components and vehicles, including tariffs and bureaucratic hurdles such as customs declarations and certificates of origin to prove where parts come from. On the back of Clark's reassurances, Nissan decided to expand manufacturing in Sunderland, northern England, to build the next Qashqai and X-Trail SUVs there. Prime Minister Theresa May said on Tuesday Britain intends to withdraw from the EU's single market and its customs union, while brokering a free-trade agreement that ensures "frictionless" commerce across borders. "We want to make sure there's a free-trade agreement to protect our investment in the country," Ford's European president, Jim Farley, said in an interview in London. "It's encouraging for us to see that the government's approach is zero-tariff. My main message for the company is that we're really optimistic that the governments can work through and find the right solution for our industry and for our employees." Ford employs 15,000 people in Britain, including engine manufacturing plants at Dagenham, eastern England, and Bridgend in Wales. It no longer assembles cars in Britain. Asked whether Ford had asked for the same guarantees as Nissan, Farley said: "Everyone should be treated similarly in our industry." "We don't think there should be any winners and losers in this," Farley said. "All companies should be created equal." Farley and Hurd spoke as they announced a trial in London of a Ford plug-in electric hybrid van designed to cut air pollution and greenhouse-gas emissions. Ford aims to be the first mass-manufacturer to commercialize a plug-in van in 2019, and is assessing their performance in a city environment. While Farley said there are no current plans to manufacture the vehicle in Britain, Jaguar Land Rover said last year it wants to build electric cars in the country if the government can overcome shortfalls in power supply. An accelerated uptake of vehicles that need to charge their batteries will require greater electricity capacity and a larger network of charging stations. Chancellor of the Exchequer Philip Hammond announced in November that 390 million pounds ($480 million) of funding will be available over the next five years to support low-emission vehicles, including 80 million pounds for charging networks. "We're in close talks with Jaguar and the rest of the industry about how we position the UK as a very attractive place to develop this technology and to manufacture batteries and vehicles," Hurd said, describing the industry as a "priority" for the government. "That ambition was part of the reassurance to Nissan about why Britain was a place to continue investing."